The author of the publication is a researcher heritage Agha Musa Naghiyev and his granddaughter Dilara Naghiyeva, while academician Arif Hashimov had a role of scientific editor. The event started with opening remarks of the Director of Institute of History, Yagub Mahmudov. The scientist stressed that Agha Musa Naghiyev invested not only in the construction of buildings, but also in education, broadening of outlook, and national culture. During the presentation, Academician-secretary of the Department of Social Sciences, Nargiz Akhundova, MPs Ganira Pashayeva, Jale Aliyeva, Dilara Jabrayilova and others told about the philanthropic and social activities of Aga Musa Naghiyev. Azerbaijani industrial oil magnate was born into a very poor family in Baku and started working as a cargo carrier (hambal). However, thanks to his natural wit and business abilities Musa Naghiyev became one of the richest oil industrialists in Baku. His assets were worth 300 million rubles. Later, he began investing in real estate so as to guarantee himself a source of regular income and became the largest rental property owner in Baku owning more than 200 buildings. He is the very famous millionaire to gift one of the most wonderful palaces in the entire city to the Muslim Charity Society. This palace, modeled on Doge's Palace in Venice, now houses Presidium of Academy of Sciences of Azerbaijan. Another gift from Naghiyev to the city architecture was the city's largest hospital which was built in 1912 and still functions today in the capacity of the Ministry of Health. The building is designed in the shape of an "H" (Cyrillic "N") for Naghiyev's name. 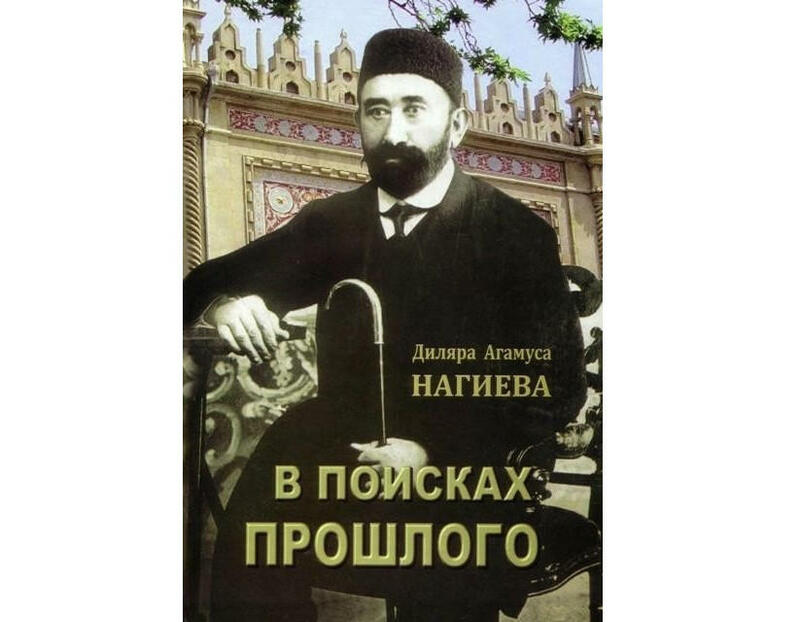 The owner of dozens of magnificent buildings in Baku, Agha Musa Naghiyev himself lived in the area outside of Icheri Sheher called Bayir Sheher, in the two-floor building behind Qasim-bey Mosque, on the crossing of Spasski (present Zargarpalan) and Gymnasist (Lev Tolstoy) streets. The architectural elements of stone clocks designed on the top and a stone lantern on the edge of that beautiful building erected in 1887, made it a distinctive appearance. The stone lantern called "Seng fanar" was decorated with red, green, blue, turquoise pieces of glass to create colourful illumination effect during the evenings. His name is confirmed by the monogram on the buildings with the logo of his company. These monogram attract attention with the unique content. Naghiyev was the main sponsor and trustee of one of the largest technical colleges, "Real College", now accommodating the Azerbaijan State Economic University. Azerbaijan`s oil magnate died of a heart attack on March 4, 1919.